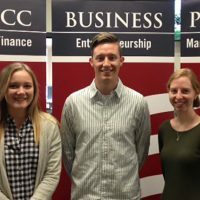 Business Policy and Strategy is a senior level course required for all business majors including business management, accounting, finance, marketing, international business, and industrial management. Many students refer to the class as their “Senior Capstone” taught by Professor Richard Kocur. Throughout this speaking intensive course, students are given various writing and presentation assignments within a group. However, at the end of each semester, Professor Kocur asks his students to complete an individual writing assignment with the prompt, “What does it mean to be a Christian in today’s business world?” Students are able to submit their essays into a writing competition among approximately 60 members of the class. Professor Kocur narrows down the top seven papers, which are then evaluated by various professors in Grove City’s business department. 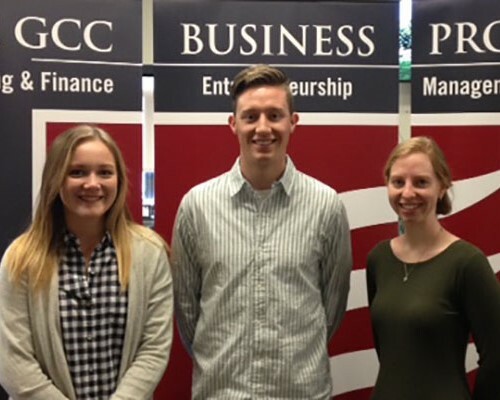 Students with the top three essays receive a monetary prize and an in-class recognition. As an accounting student in the Business Policy and Strategy course last semester, I had the opportunity to complete this assignment and consider the “Christian Perspective” in the business world. I personally loved this assignment, and I took the time to look back on what I had learned in my classes at Grove City about implementing Christian values in the real world. The prompt for the paper was not an easy question to answer. However, I focused my paper on living out Christian values in all aspects of life, rather than compartmentalizing work, family, friends, and faith. Although discussing your faith in the workplace is not always appropriate, acting as an example of Christ is a great way to implement one’s Christian values in all components of their life. After writing my paper, I was lucky enough to receive third place in the competition among my classmates, which was a great way to complete my semester. Lindsey is a senior Accounting and Finance major from Slippery Rock, Pennsylvania. As a Grove City local, she is involved on and off campus in the Gamma Sigma Phi Sorority, Accounting Society, Women's Club Lacrosse, and is a member of St. Peter Parish. Outside of her activities, she enjoys spending time with her friends and enjoying the outdoors!